No matter what we are working on with our clients (trauma, attachment, spirituality, or other ordinary life experiences), the work with emotions plays a central role. All those who do any psychological work (in psychotherapy, bodywork, energy work, or teaching) have much to gain from integrating the knowledge about the physiology of emotions from over a hundred years of scientific research in universities and clinical research in diverse body psychotherapy traditions. Both mainstream psychotherapies and body psychotherapies including Somatic Experiencing® (SE™) and Sensorimotor Psychotherapy® (SP) can improve their work with emotions to a significant degree from learning how different types of emotions (primary, secondary, and tertiary or sensorimotor emotions) are generated as well as defended against in the brain and body physiology; and how to work on them physiologically and psychologically at the same time without destroying them. Those trained in Somatic Experiencing (SE) in particular will learn that tracking sensations, discharge, and movements, and resourcing and regulating the body are not often enough to work effectively with more complex experiences of emotions and behaviors involved in trauma; and that these tools when used inappropriately can often destroy the very emotions and behaviors they are working with. They will learn how to work more effectively with emotions and behaviors using the knowledge of the physiology of emotions from science and many other body psychotherapy systems so that they are better able to work with all aspects of trauma. Polarity practitioners and other energy work and bodywork practitioners will benefit in a similar manner. For a list of scientific references visit the ISP Professional Training page. The Physiology of Emotions Workshop is part of an advanced level program and can be taken as a standalone workshop. Students who have completed the workshop can continue by taking module 2 and 3 of the ISP Training. 24 CE Credits will be awarded to US mental health professionals and nurses. Visit our CE Credits page for detailed information. The workshop will consist of theory, guided group exercises, demonstrations with participants, and practice sessions. You have the option of taking just this workshop or the option of taking two additional workshops from Dr. Selvam to receive a certificate in Integral Somatic Psychology™ (ISP™), an advanced approach for experienced psychotherapists, body workers, energy workers, and educators for improving clinical outcomes through greater integration of body, energy, and consciousness into any psychological process, currently taught in over a dozen countries around the world. You will learn how to work with emotional or affective experiences more deeply and completely through the physical and energy bodies, work that can also significantly improve cognitive and behavioral work that you do with yourself and your clients. You will also learn how to work with psychophysiological or psychosomatic symptoms with greater effectiveness. You will learn how different layers of your physical body are involved in generating and defending against different types of emotions and other psychological experiences. You will learn how to work with your energy body through your physical body to balance cognition and emotion in your work. For a detailed schedule and learning objectives visit the Learning Objectives and Schedules page. physical (gross) body, the dynamic collective energy (subtle) body, the dynamic collective body of unity, and the absolute collective body of unlimited pure awareness or consciousness. Multi-disciplinary theoretical and empirical evidence for different levels of the ISP model from Western and Eastern sources. training for experienced professionals in any therapeutic modality with prior psychological and somatic expertise. Embodiment of psychological experience in the individual physical (gross) body as the core clinical strategy in ISP. Four inter-related aspects of embodiment of psychological experience with a broad definition of emotion or affect as the bridge: Working with psychological, physiological, and energetic defenses to expand and deepen the experience in the body and to build capacity for tolerating it; and working with the experience cognitively and behaviorally to facilitate greater embodiment of the experience in the body, defined as a person’s stable relationship to the experience such as love or grief over time. Scientific evidence for effectiveness of embodiment in increasing clinical outcomes in cognitive, emotional and behavioral work. cultures including a published peer reviewed research article. body-oriented and energy-oriented approaches in mainstream psychology. such as perception, cognition, memory, imagination, affect, verbal and non-verbal expression, behavior, and relationship. Theoretical and empirical evidence for these generative and defensive dynamics from scientific research in academia and clinical research in body psychotherapy traditions. Theories of affect and affect development. Levels or types of affect. Affect and psychophysiological disorders. licensure context. Understanding of the relative advantages, disadvantages, and limitations of each tool. working with muscles in these areas during psychological work. Integral Somatic Psychology™ (ISP™) is a master training for experienced clinicians who are engaged in psychological work with individuals or groups in therapeutic practice or teaching. 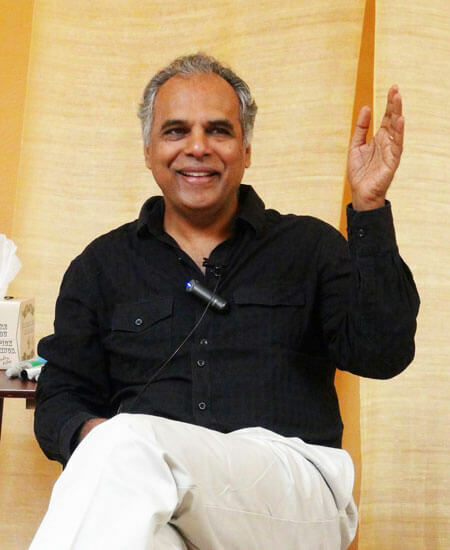 If you are a psychiatrist, psychologist, social worker, marriage and family therapist, counselor, art, movement or breath therapist, coach, bodyworker, energy worker, psychology trainer or educator, clergy, meditation or spiritual teacher, you will find the training valuable provided your work also involves psychological processing. And, because ISP is an advanced level training for experienced clinicians, you will find the training more valuable if you already include the physical body in your work to some extent. Your familiarity with the body can be through body awareness or movement practice, body-based mindfulness or meditation practice, yoga or bodywork, energy work, or training in body or somatic psychology or psychotherapy approaches such as Reichian therapy, Bioenergetics, Bodynamic Analysis, Sensorimotor Psychotherapy (SP), and Somatic Experiencing (SE). Upon registering, please use the application form to describe your professional background. If you are unsure whether your present work involves adequate psychological processing or body awareness to benefit most from ISP, please contact your local coordinator to discuss your application.